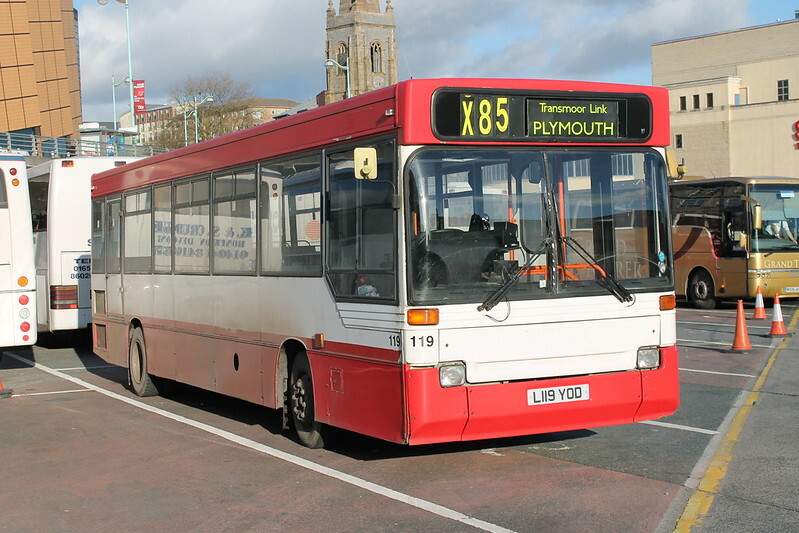 Nice to see this one sitting in Bretonside: L119YOD looking very much the Plymouth bus it was for many years, now working Jacketts Coaches X85 service. In a few weeks time we will be seeing a bit more of Jacketts fleet in Plymouth when they start their new 85 Plymouth - Tavistock service. Nice to see the old Transmoor Link name on the destination! A Citybus with a Western National blind!